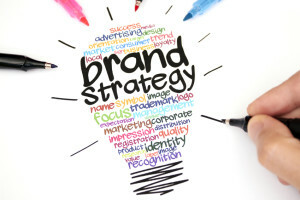 How Do You Maintain a Consistent Brand Image? If marketing experts know one thing, it’s that consistency and repetition build brand awareness. That means keeping your brand images, messaging, and marketing themes consistent across multiple channels. Business name: Your business name should be simple, easy to remember, and easy to pronounce. It should be repeated frequently, and if possible, include keywords that will make it easy for people to find you on search engines. Logo: Your logo should be professionally designed and work across multiple media and physical configurations. Strive for something that is simple and yet communicates a story. When the charity organization Lifewater International decided to redesign its logo, for example, it tapped into the concept of a water drop with three segments—each one representing an area of its mission: life, health, and hope. Colors and typography: Jantsch recommends that, for greatest brand impression, you use a limited and consistent pallet of colors and fonts so that you are instantly recognizable. Who can’t pick out Tide in the detergent aisle from 100 feet away? Or have their eyes instantly drawn to the Starbucks logo when whizzing down the highway? We would add that, when it comes to brand color, close isn’t good enough. Tide orange is different from Home Depot orange. Those brand colors are carefully protected and produced to extremely tight color tolerances. Yours should be, too. Tone and keywords: What is your company’s tone of written and digital communications? Is it edgy? Playful and fun? Serious and professional? No one would mistake the irreverent humor of Duluth Trading Company for the corporate speak of Fidelity Investments. Your communications should have a personality and tone, too. Maintain that tone across all channels and include keywords that will help people find you online. Creating and maintaining a strong, professional image takes work, but it will pay off in the end. Talk to us about how our creative, production, and workflow experts can help you create a consistent and powerful brand image that makes you stand out and be remembered. How do you keep customers happy if there is a problem? next post: What are the 10 Essentials of Direct Marketing?